Why only one title challenging Don in Scotland squad? Aberdeen supporters will have had mixed emotions following the announcement of Gordon Strachan’s Scotland squads for the friendlies against the Czech Republic and Denmark. Kenny McLean’s inclusion is deserved recognition for the consistent displays of the former St Mirren captain for the Dons this season but the big surprise is that the midfielder was the only Don to make the 38 man squad for the two games. When Strachan announced he would name two squads for the game hopes were high there would be a few from Pittodrie getting the call. After all, with Aberdeen a point off the top of the Scottish Premiership in a fascinating title race, who wouldn’t be taking a look at Derek McInnes’ side for possible reinforcements? Strachan’s assistant Mark McGhee talked up the Dons’ title prospects only yesterday but it appears being genuine challengers does not equal international prospect as far as the Scotland manager is concerned. 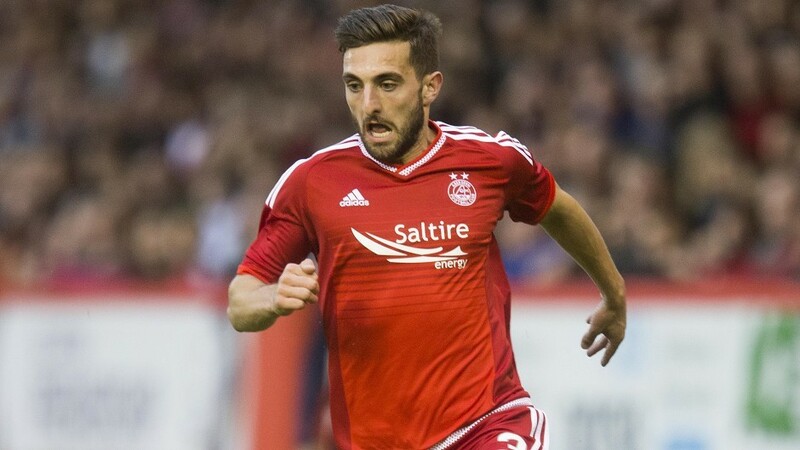 Alas, there will be no Graeme Shinnie, arguably the most consistent left back in the country for the past 18 months. He should have been capped when he played for Inverness and it is bewildering that his wait goes on despite continuing his form following his move to the Granite City. Nor will there be a call for Ryan Jack or Mark Reynolds. Whether the Dons captain or defender Reynolds should be there is open to debate but surely Shinnie should have been there? Those of an Aberdeen persuasion expecting a condemnation at Kieran Tierney’s call-up following a handful of first team appearances for Celtic should look away now as the youngster has been the success story of an otherwise challenging campaign for the champions so far this season. Strachan clearly feels he has done enough to warrant inclusion and I agree. Get the lad in and see what he is made of. But really, will Strachan learn anything he didn’t know already about Steven Whittaker, Andrew Robertson or Charlie Mulgrew? Perhaps we should be applauding the list of names, some of whom the average guy on the street has never heard of, and maybe the fact we can draw up a list of another dozen names who should be there augurs well. But it doesn’t feel like it right now. However, under every cloud is that silver lining and with Celtic having seven players called up to the two squads, McLean’s position as the lone Don may not be a bad thing after all. In this, the tightest of title contests, the chance for his players to recharge the batteries during the international break will be welcomed by McInnes and the Red Army. But forget club allegiances for one moment. As far as the national interest is concerned, Shinnie’s omission in particular feels like an opportunity missed. Maybe next time. But I wouldn’t bet on it.